A third of the population sleep badly, but you don’t have to be one of them. Using a blend of mindfulness and new ACT therapy techniques, the book shares a unique five-week plan to cure your sleep problem whether it’s a few restless nights or a lifetime of insomnia. 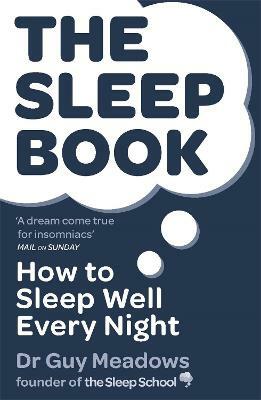 The Sleep Book is the sum of a doctorate degree in sleep and well over 12,000 hours spent working with more than 2,000 insomniacs in one-to-one clinics, workshops and retreat environments.